It probably shouldn't be a surprise that children are attracted to smartphones and tablets. Their size is ideal for small hands. The technology is intuitive to young minds and the idea of having access to dozens of electronic games at all times is very appealing to kids. Many children are experts at handling smartphones before they start kindergarten. But how healthy is that, a lot of pediatric experts ask? The New York Times reports that on average, a child gets his or her first smartphone at age 10, down from 12 five years ago. “I think that age is going to trend even younger, because parents are getting tired of handing their smartphones to their kids,” Stacy DeBroff, CEO of Influence Central, told The Times last year. There are multiple concerns when it comes to children and smartphones. The devices open up the entire internet, for better or worse, to young users, and they can be so absorbing that they become distracting. Some say they can even become addictive. A Toronto-based technology company is introducing a new parental control for mobile devices. It allows parents to control their children's app and internet access based on a schedule. For example, access might be blocked after bedtime or during school hours. The company says the technology, called redgreentree, was actually created by parents and designed to address smartphone misuse without invading the child's privacy. "We have transformed the smartphone and tablet," said Nicholas Minovski, co-founder of redgreentree. "What was once a distraction is now a purpose-driven tool." 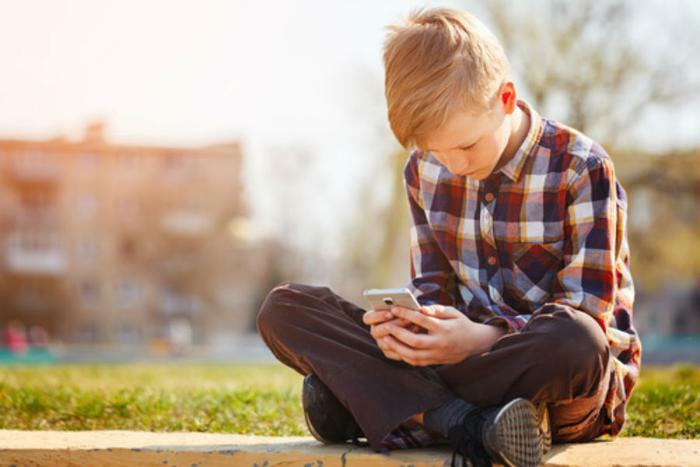 The addictive nature of smartphone technology often comes from the stimulation of electronic games, as well as the instant connection with peers through social media. Minovski says the app effectively controls both. "It's not entirely the child's fault they spend so much time on their devices," Minovski said. "Apps are designed to be addictive and engaging. The objective with this new app is to assist parents in overseeing how their children are using new technologies." The app has a dashboard that allows parents to quickly and remotely manage how a child's mobile device is used. It also blocks access during times the child is supposed to be engaged in other productive activity. Individual apps can be blocked, but so can entire categories. Parents can block an app or simply schedule its access. The app, available at Google Play, isn't completely free. It's a free download but costs $2.49 a month to use -- slightly less on bi-yearly and annual plans.